Jerry Siegel | Magazines and Monsters! After recently seeing the sequel to this movie on television, I felt compelled to review this landmark film. First off, I have a question. How many great comic book films came before this one? How many came after until the fairly recent surge of movies? That’s one way to measure how great this movie is (and its sequel), but you can also just sit back and watch it, as well. There’s no denying the magnitude, the depth, and the overall quality put forth in Superman: The Movie! The first time I saw this movie was when it debuted on network television (around 1981/82? ), and I can remember being glued to the set. 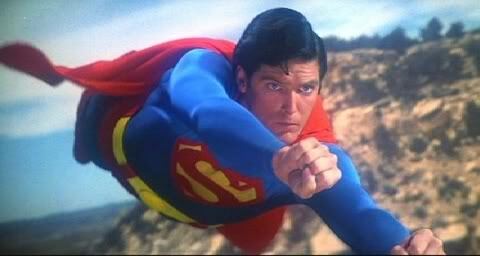 Christopher Reeve was larger than life, and made me want to be a superhero, and a better person. Were the scenes with Clark a bit hokey? For sure, but they also made you, as the viewer, feel the pain and agony Kal-El felt, as he trudges thru his everyday life as a reporter, and not just telling the world who he was, and reaping the benefits. This film made me want to be a better person and help others less fortunate , because that’s what Superman would do. Thank you, Jerry Siegel & Joe Shuster, for making me want to be a better person. As the film begins, we see the council on the planet Krypton, convening, as three criminals are on trial for treason. These three attempted to overthrow the council, and bring themselves to the throne of leadership. The council sentences them to banishment in the Phantom Zone, and then General Zod, Non, and Ursa, threaten Jor-El (Marlon Brando) as they are whisked away to a punishment fitting their actions. The next scene shows us that Jor-El also has some information, but not about criminals. He’s the leading scientific mind on the planet, and he tells the other council members that the planet is great danger, and could implode within a month. The others don’t believe him, and threaten to punish him, if he arouses the populace with his theories. He promises to keep quiet, and to not leave the planet. 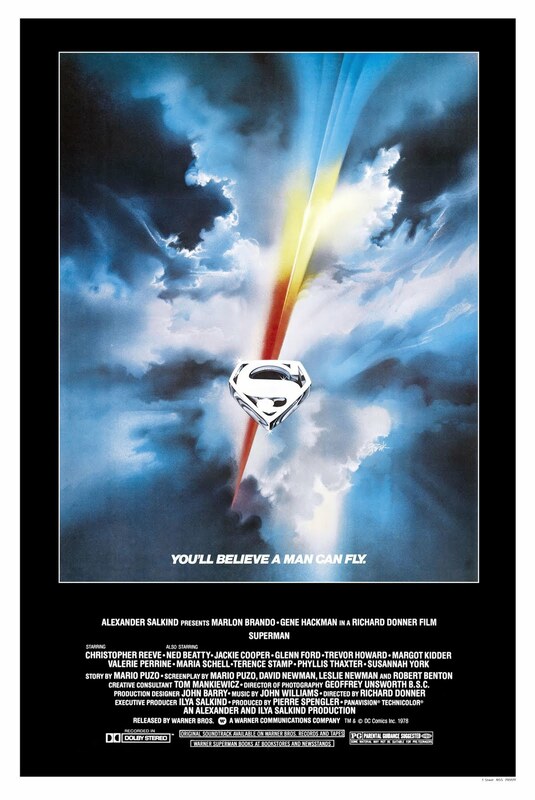 Jor-El returns home, and tells his wife, Lara (Susannah York), that the council has forbidden them to leave, but that he’ll use an experimental rocket ship to send their son, Kal-El, to a far away planet, Earth, where he can be the savior for this weaker species. As they load baby Kal-El into the ship, the planet begins to break apart. 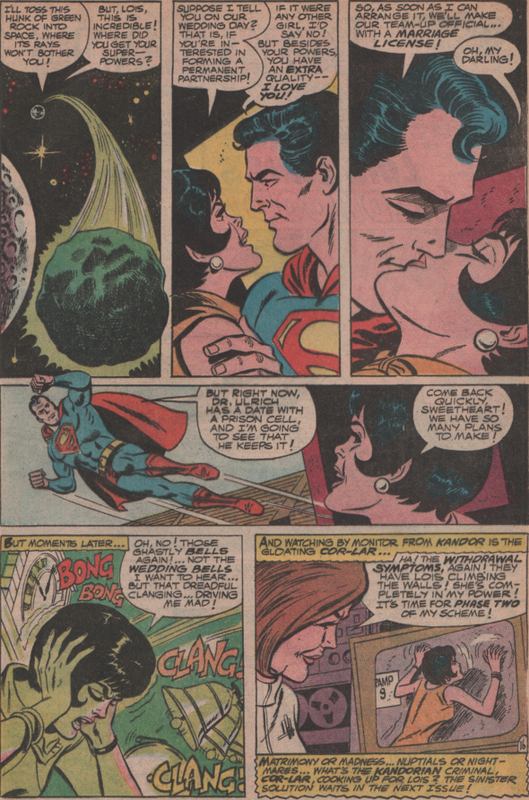 Just as Jor-El predicted, the planet explodes into millions of pieces, as the ship rockets toward Earth. The ship eventually lands, and Kal-El is a toddler by now. A passing pickup truck sees the landing, and two elderly people get out to investigate. 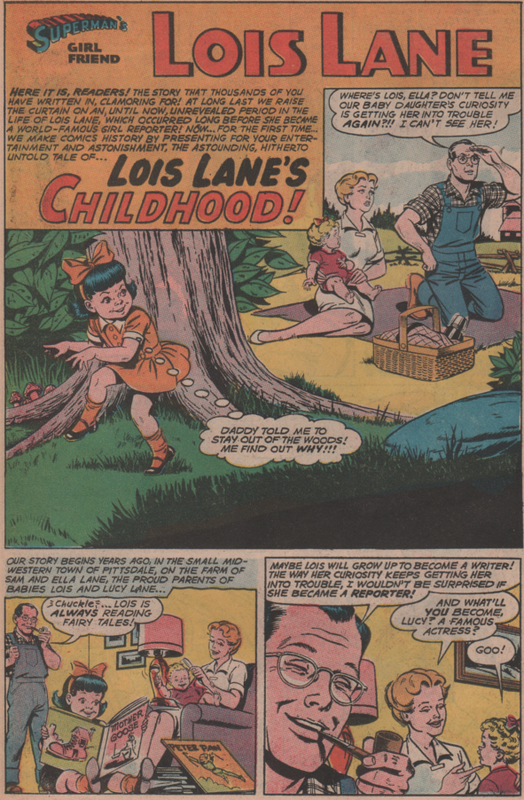 Jonathan and Martha Kent find the boy, and debate whether or not to take him in to their home. While this conversation is going on, Jonathan is changing a flat tire. Suddenly, the jack slips out from under the truck, and almost crushes him. They both are stunned to see that the reason it didn’t, is because this boy is holding up the back-end of the truck by himself. Fast forward approximately fifteen years, and Clark (Kal-El), is cleaning up the football equipment after a game. He races home and talks with Pa Kent about his frustrations with school and life in general. As Clark is beginning to understand that his parents have raised him to be ready for some kind of sign that will show him why he was sent to this planet. The two share a laugh, and run up the driveway, but half way there, Jonathan collapses, and dies of a heart attack. The burial doesn’t make his death any easier, and he and Ma Kent are left feeling a huge void in their lives. During the night, Clark wakes up to some unforeseen calling. He leaves the house, and goes into the barn. Under the ground, Ma & Pa Kent had hidden away his rocket ship, and the contents of it as well. Clark finds that a green crystal is the artifact that’s been calling to him, and he realizes he must leave the farm. The next morning, he tells Ma Kent that he’s leaving and heading North. We watch, as young Clark travels to the North (somewhere extremely cold), and uses the green crystal to build his new home or “Fortress of Solitude”. Once inside, there is a machine of alien origin, and using crystals, the device produces a hologram, of Jor-El, and he explains everything to Clark. Fast forward again a few years, and we see a caped figure fly out of the fortress, and to an unknown destination. Cut to the city of Metropolis, and the Daily Planet. 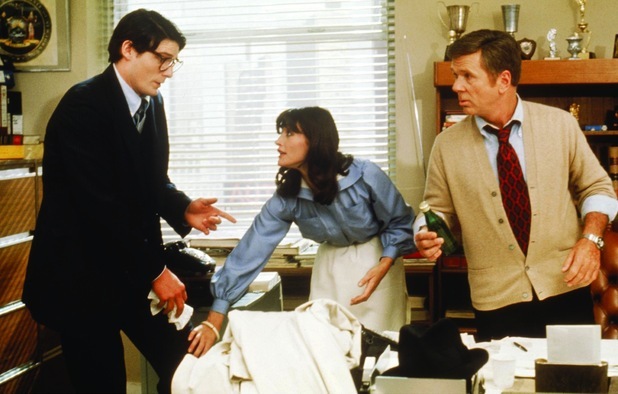 We see Lois Lane (Margot Kidder), Jimmy Olsen (Marc McClure), and Perry White (Jackie Cooper), as they are knee deep in their work day. Enter Clark Kent (Christopher Reeve), as he’s all grown up, and recently hired by Perry to work the city beat. 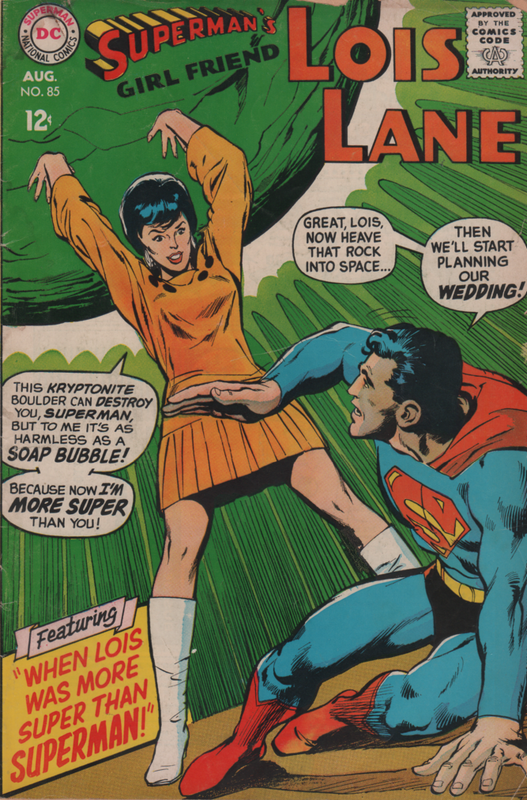 This ticks off Lois, as that’s her beat to cover, but Perry explains to her that Clark is ready for the challenge. Lois and Clark couldn’t be more opposite, as far as…well, everything, but there is a definite connection from day one. After a long first day, the two leave together, but get mugged in an alleyway. 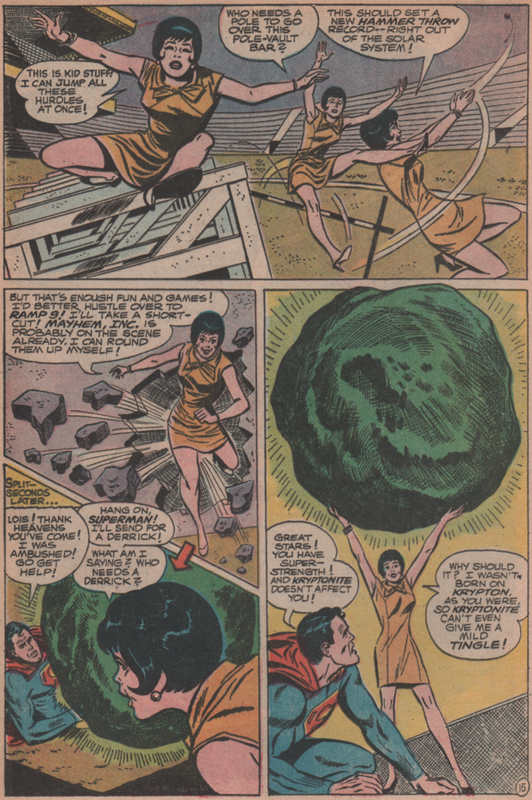 The mugger actually shoots Clark in the confusion, but while Lois has her back turned, he catches the bullet. She’s stunned that he’s OK, but also let down when he tells her that he fainted. Meanwhile, we get to see the local police, as they are in pursuit of a stooge, named Otis (Ned Beatty). 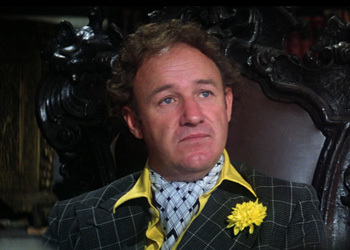 It really isn’t the stooge they’re after though, but his boss, Lex Luthor (Gene Hackman). One of the cops follows Otis down a subway tunnel, but ends up getting pushed on to the tracks. The next day, Lois and Clark are back at the Daily Planet, and later, as they finish the day’s work, Lois tells Clark that she’s got a busy night, as she’s going to be a passenger on Air Force One. Clark asks her out on a date, but she tells him she’s too busy. Clark heads home, and Lois heads to the rooftop to catch a ride to the airport on a chopper. As she boards the chopper, a cable gets wrapped around the landing gear of the chopper, and as it takes off, it gets hung up and crashes. 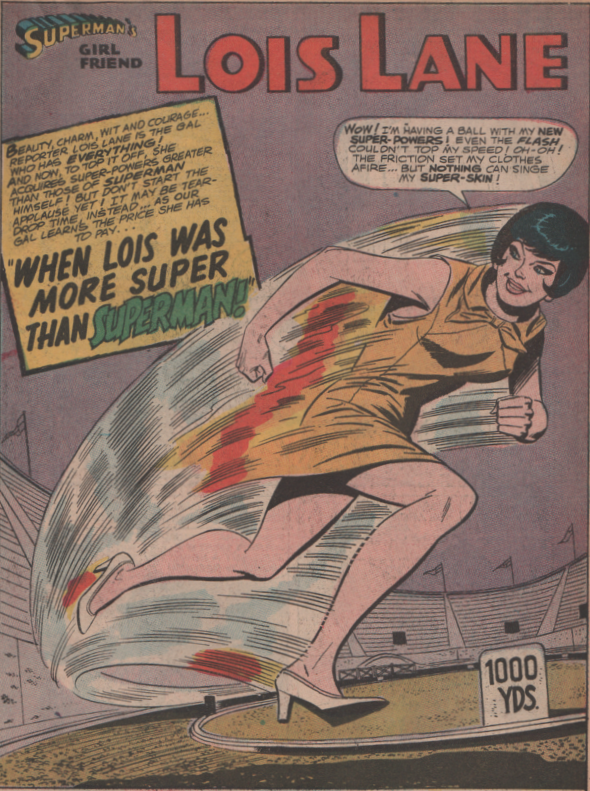 Lois is dangling from the seat-belt of the chopper, but loses her grip, and plummets to the ground! Just as she’s about to hit the ground though, Superman swoops in and saves her. She’s stunned and then completely smitten with him, and he seems to like her as well. Perry exclaims that someone needs to get an interview with him, and Lois is up for the task. Superman visits her apartment, and she conducts the interview. Not too far into it though, he offers to show her what it like when he flies through the air, and the two go on a semi-romantic flight above the city skies. He returns her home after while, and she’s so flustered, she gets her words mixed up when Clark shows up to take her out on a date. 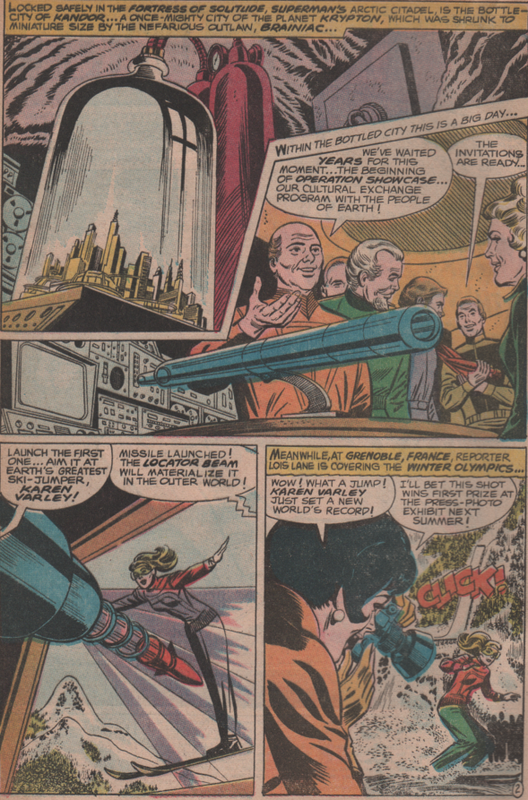 Next, Luthor has figured out a way to stop Superman, and how to steal to missiles for his nefarious plans. During that same time, Lois is out west, by the Hoover Dam, investigating some real estate scam (Luthor, buying up desert near California). 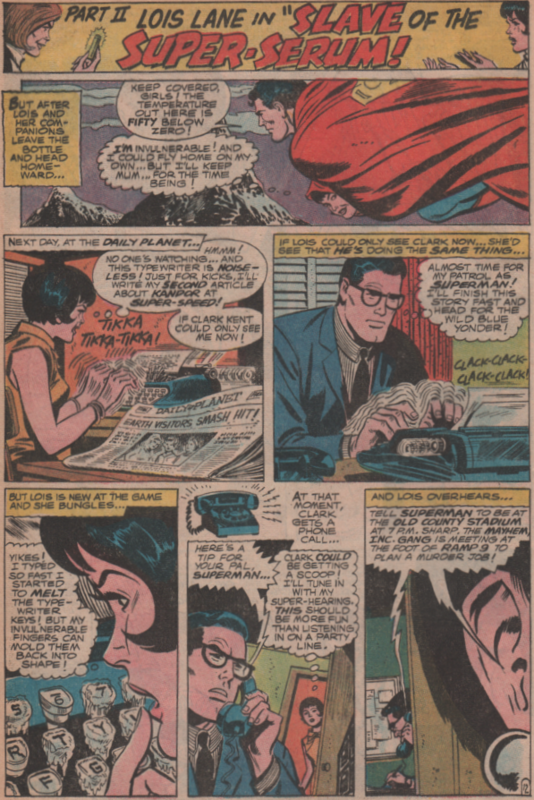 Clark is at the Daily Planet, listening to Perry talk about how to make it in the newspaper biz, and suddenly, a supersonic noise alerts Clark that something is wrong. He then hears the voice of Lex Luthor, and he explains that if he doesn’t meet him immediately, a poison gas will infect the entire city, killing millions. Can Superman stop Luthor’s plans, and more importantly, can he save Lois and Jimmy from certain death out West? All of these questions can be answered by watching this incredible adaptation from DC Comics greatest superhero (OK, that’s really Batman, but lets not argue semantics)! This movie took the superhero genre and vaulted it into outer space. The budget was $55 million, and it grossed over $300 million worldwide! And not because it was a bunch of fluff either, this movie was a top-notch film for all ages, and everyone can find something they love about it! Christopher Reeve was the absolute perfect actor to play Clark/Superman. Many actors tried out for the part, but were either turned away or had other commitments (Robert Redford, Sylvester Stallone, Burt Reynolds, Paul Newman-just to name a few). From a directing standpoint, Francis Ford Coppola, Steven Spielberg, and George Lucas, were all contacted but had other projects going on or turned it down. When you sit back and watch this film, try to imagine these other directors, or actors involved. It wouldn’t have been this good. Not enough can be said about the acting of Reeve, Kidder, and Hackman. Those three were beyond great in their roles, and elevated this film from good to great. You can’t find a better fit for those roles, and why would you even want to try? From the music score, to the acting, the action scenes/special effects, this movie is a winner!